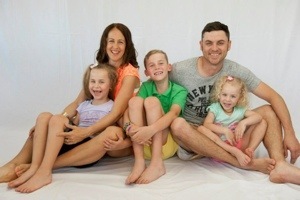 These school holidays have been very cold and for the first week very wet! 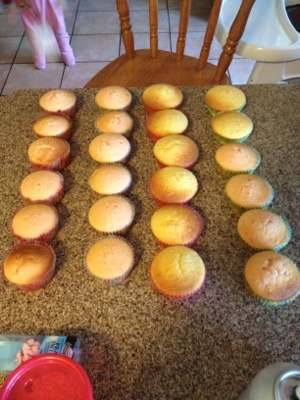 So what better time to bake with the kids:) At first I set myself a goal to bake or cook something different with the kids each day, but of course life got in the way a bit! But then it was Sienna’s birthday on the middle weekend, so with all the treats I baked for her special day, it made up for any lost days! Preheat oven to 140°C. Position a rack on the second lowest shelf of the oven. Brush a round 25cm (base measurement) cake pan with the melted butter to lightly grease. Line base and sides with non-stick baking paper. Place the self-raising flour, plain flour, sugar, butter, milk, eggs and vanilla essence in a large mixing bowl. Use an electric beater to beat on low speed for 30 seconds or until just combined. Increase the speed to high and beat for 1-2 minutes or until the mixture is thick and all the butter is incorporated. Spoon the mixture into the prepared pan and smooth the surface with the back of a spoon. Bake in preheated oven for 2 1/2 hours or until a skewer inserted into the centre of the cake comes out clean. Remove from oven and set aside for 10 minutes. Turn onto a wire rack for 2 hours or until completely cool. 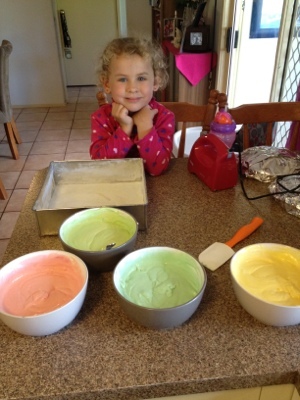 To make a rainbow cake you divide your cake mixture into separate bowls and add your desired colours. 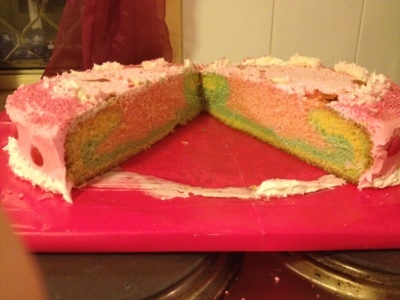 Then simply pour each bowl of cake mixture into the middle of your cake tin and watch the colours combine! Put sugar in a large bowl. Dissolve the gelatine in the boiling water and then add to the sugar. Beat until thick and white and the sugar is dissolved completely. Add a little almond essence and colouring if desired. I added some vanilla essence instead of almond. 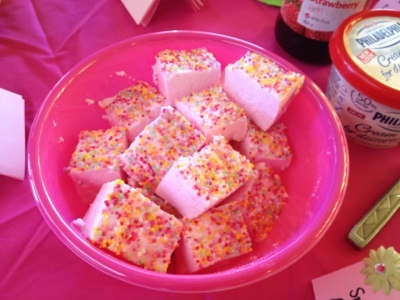 When colour is even, pour into a wet tray and let stand for a few hours before cutting into squares and rolling in coconut or icing sugar. Preheat oven to 180°C. Line 2 baking trays with baking paper. 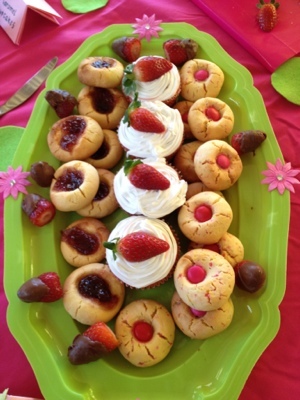 Using an electric mixer, beat butter, sugar and vanilla in a small bowl until pale and creamy. Add egg and mix until well combined. 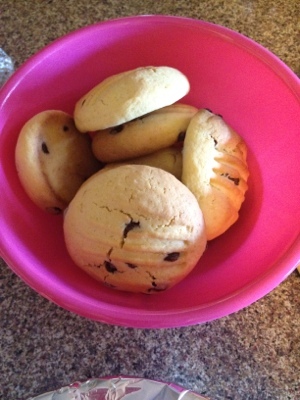 Sift flour and baking powder over butter mixture. Add milk and stir until just combined. Once the mixture is made, you simply add what you wish to it! 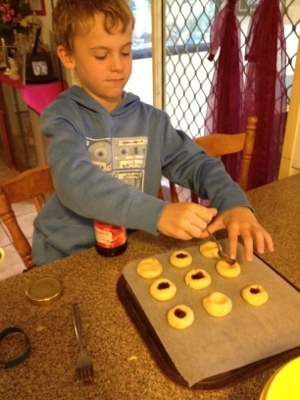 I’ve made 4 different types over the holidays….jam drops (I rolled a bit of the dough into a ball and then pushed my thumb into the middle of the ball and filled that with jam)! 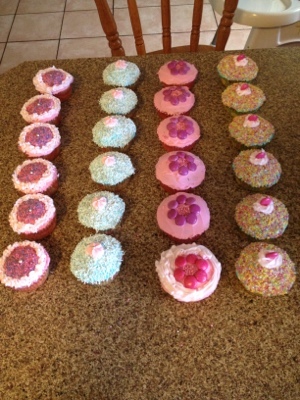 One batch I added cornflakes, another choc chips and another hundreds and thousands with a smartie in the middle! Preheat oven to 180°C. 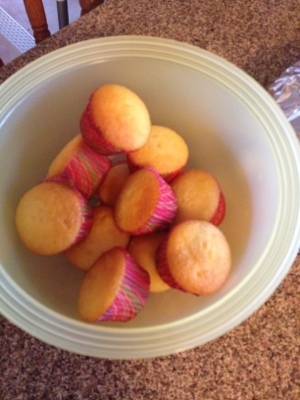 Place desired cupcake papers into muffin tins. Use an electric beater to beat together the butter and sugar in a large bowl until pale and creamy. Add the eggs, 1 at a time, beating well after each addition, until combined. 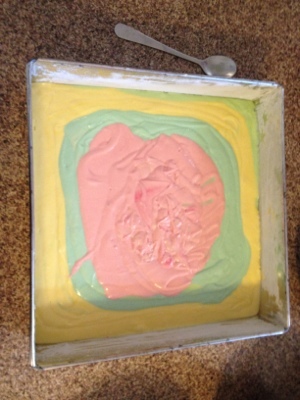 Stir in the flour, milk and pink food colouring until just combined. Spoon the mixture evenly among the prepared pans. Bake in preheated oven for 15 minutes or until a skewer inserted into the centres comes out clean. Remove from oven. Turn onto a wire rack and set aside for 30 minutes to cool. 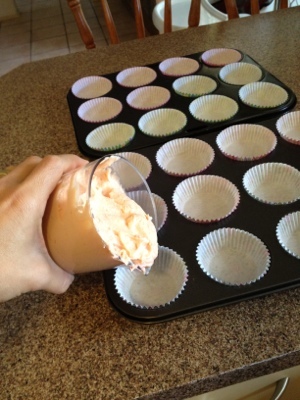 I pour my mixture into the cupcake papers using a jug with a spout….so quick, easy and tidy! Sift flour and salt, add sugar, drop unbeaten egg into the middle of the bowl and stir. Slowly add enough milk to make a thick batter. Beat well until smooth. Heat a non-stick pan over a medium heat, melt ½ teaspoon butter and drop heaped tablespoonfuls of mixture into the pan. 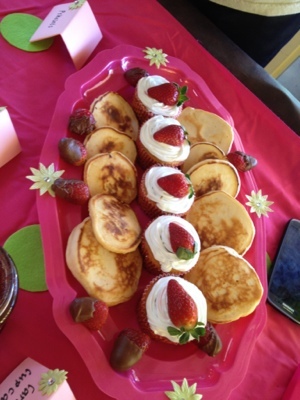 And of course pikelets always taste fantastic with jam and cream! It has been a great couple of weeks experimenting with baking and decorating and most importantly the kids have had a ball! I haven’t done half the things I had planned on doing, but there is always next week and the next and the next!